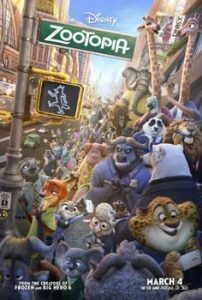 Zootropolis was much better than what I thought! It was very funny, very amusing and I would highly recommend it as a family film and something to go and watch. Throughout the movie, it builds up a lot of tension and grabs the audiences attention. You won’t be able to take your eyes off the screen! Kinda makes me want to live in Zootropolis! The makers have included a great sense of humour and to top it all off, a great ending! I really enjoyed this film too and think there is something for all ages in this fantastic film. There were some twists to the film which made it all the more entertaining and my 8 year old daughter sat for the entire film with no fidgeting or talking (a first!). As a family of two adults and two children we all came out with the same opinion – this is definitely worth seeing.